Effectively cleans automotive upholstery (natural and artificial fabric, nap, carpeting, plastic etc.) from different contaminations. Easily cleans oil spots. Excellent sorbent of objectionable odor. 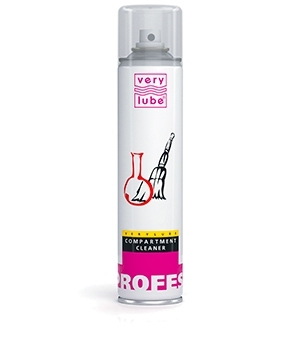 Easily cleans the upholstery and removes greasy and oil contaminations. Removes grime. Restores original appearance, color and texture of fabric. Bristles up and straightens fibers; gives silky look to upholstery. Provides upholstery with antistatic properties. 1. Spray small amount of the product onto a sponge. 2. Clean the spots on the upholstery with formed foam. Do not use the product for cleaning leather articles. For more effective grime removal, use a clothes-brush.